There is a bakery in every village and on every city block in France, so you’ll never find yourself craving a sweet treat with nowhere to indulge. But, if you’re in Paris and want to try out more than the run-of-the-mill pain au chocolat and tartes tatin, you’ll have to dig a little deeper than the simple neighborhood shop and head to some of the fanciest food spots in the capital. 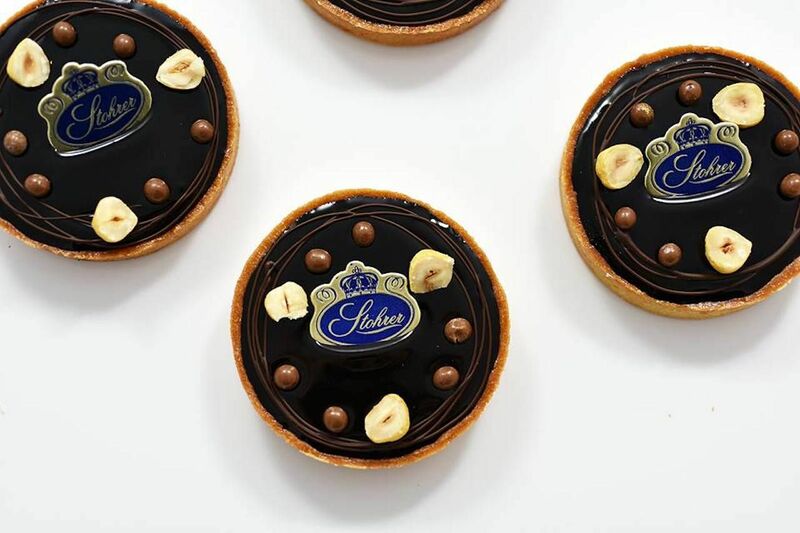 There, you’ll find incredibly beautiful and tasty pâtisseries that will take your tastebuds way beyond the bougie Ladurée macaroons to reach a level of elegance and deliciousness you didn’t even know was possible in a dessert. Here are the seven most decadent, bucket-list-worthy pastry shops in Paris you need to go to. The star of the show in this pastry shop/candy confectionery is the eclair, a pastry made of an elongated choux bun filled with crème pâtissière. 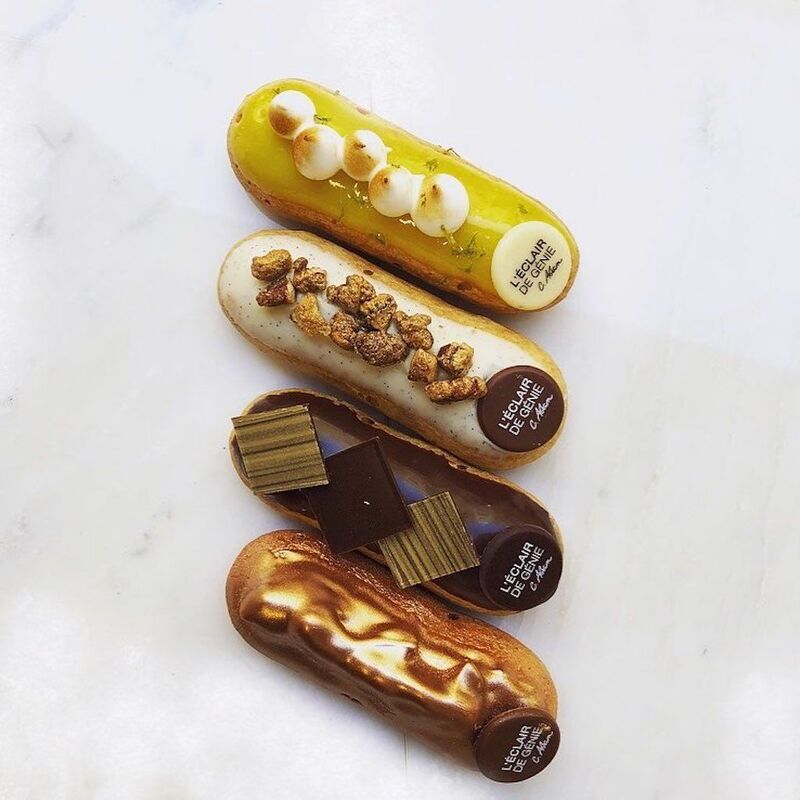 Eclairs are a common pastry that you’ll find in just about every French bakery, but the ones created by the very talented Christophe Adam at L’éclair de génie are nothing like those. Because a choux bun is a versatile vessel with infinite possibilities, Adam has created hundreds of incredible eclair flavors — from Iranian pistachio with orange zest to salted caramel to a raspberry-lychee-rose combination — that leave the usual chocolate or coffee flavors in the dust. And the beautifully detailed presentation of each pastry makes staring at it (and snapping a pic) as enjoyable as eating it. There are several spots in Paris where you can try one of Adam’s deluxe creations, including a small outlet at Gare du Nord if you’re on your way in or out of the French capital and in the Galeries Lafayette if you need a break from staring at that beautiful glass ceiling. But we recommend that you head to the original location in the Marais neighborhood to sit and enjoy a cup of coffee with your treat. 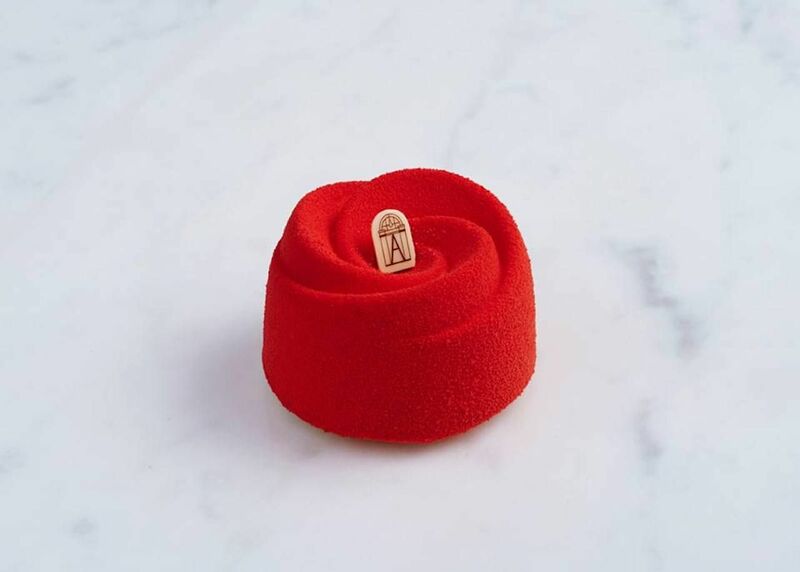 Founded in 1730 by Nicolas Stohrer, King Louis XV’s pastry chef, Stohrer is the oldest pastry shop in Paris — and if they’ve been in operation for almost 300 years, it’s because they make kickass desserts. For one, Nicolas Stohrer is the man who created the Baba au rhum, a small and round yeast cake that is soaked in rum and topped with whipped cream and small fruits, so we know the place is no joke. 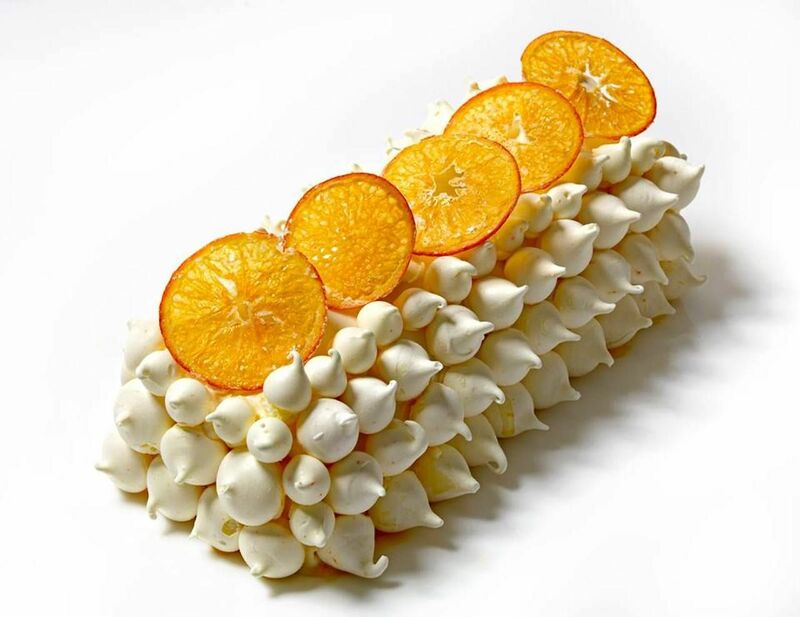 Second, the current pastry chef, Jeffrey Cagnes, creates such magnificent pastries that your body will vibrate with excitement just by looking at them. 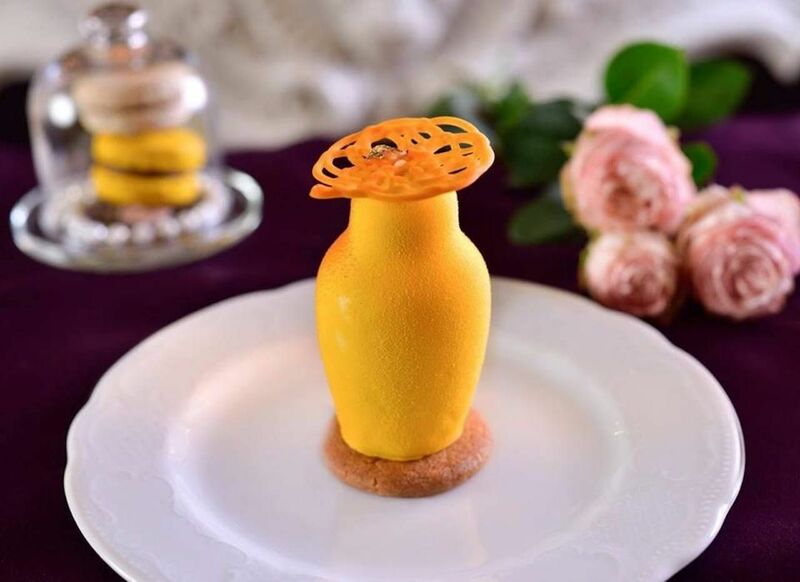 The shop itself is stunning, so we recommend that you take your time to sit and enjoy the over-the-top, luxurious decor while stuffing your face with passion fruit and framboise tarts and slices of vanilla flan. Café Pouchkine is a pastry shop and a restaurant. The restaurant is open all day long, so it’s a great place to have a cup of their amazing, thick hot chocolate accompanied by a sweet treat at any time of the day. To make sure you get a spot if you want to linger, we recommend that you book a table (online reservations are possible). Alternatively, you can buy your sweet treats from the shop and take them back home with you. Café Pouchkine serves pastries, chocolate creations, cakes, and baked goods, and everything is absolutely perfect. Every item looks like an art piece and tastes as good as it looks. The Médovik, a Russian dessert made of buckwheat honey biscuit, sweet condensed milk, and Russian sour cream is a showstopper. The Matryoshka bergamot poppy strawberry will stop you dead in your tacks. Café Pouchkine is incredibly elegant and very intimate, so spend some time to take in the grand decor reminiscent of an 18th-century Russian palace while you enjoy one of their creations. If you’re just shopping for treats, don’t feel like you’re missing out — the shop itself is outstanding. Hours of operation: Pastry shop is open Monday to Saturday from 8:30 AM to 9:00 PM; Sundays and bank holidays from 10:00 AM to 9:00 PM. Restaurant and tea room are open Monday to Saturday from 8:30 AM to 10:30 PM; Sundays and bank holidays from 10:00 AM to 10:30 PM. Since its opening in 1903, the Angelina tea house has been the meeting point for those who have a taste for the finer things in life and who can afford them, including Marcel Proust and Coco Chanel. There are now two Angelina tea houses in Paris, and both are exceptionally beautiful. The decor is sumptuous, the service and the atmosphere are perfect, and the pastries are the bomb. Order an “African Hot Chocolate” with the trademark Mont-Blanc pastry (meringue, light whipped cream, and chestnut paste vermicelli) on the side for the full Angelina experience. If chocolate ain’t your thang, don’t freak out, the pastry menu is filled with amazing creations for every taste bud. Our favorites are the fruit imitations — they look so perfect that it’s hard to sink your spoon in, but they taste incredible, so don’t overthink it. Addresses and hours of operation: Paris Rivoli is located at 226 rue de Rivoli 75001 Paris. Open Monday to Friday from 7:30 AM to 7:30 PM; Saturday and Sunday from 8:30 AM to 7:30 PM. Palais des congrès is located at 2 place de la porte Maillot 75017 Paris. Open Monday to Friday from 9:00 AM to 7:30 PM; Saturday and Sunday from 10:00 AM to 7:30 PM. Hugues Pouget, the owner and pastry chef at Hugo & Victor, not only creates beautiful and tasty cakes, chocolates, baked goods, sweet loaves, and pastries, but he also makes sure to use the best of what the natural world offers. Out of respect for the environment and to get the best flavor he can from a product, Pouget only uses fruits that are in season for his deserts — no strawberry tarts in February. He also refuses to use artificial coloring and flavoring. Being engaged like Pouget pushes him to be creative all year long and, despite the hurdles, his desserts are the stuff of dreams. Pouget likes to work with citrus, so we recommend that you give his grapefruit tart a try. The shop also offers several versions of the Financier — a small almond cake — all of which are incredibly tasty, so grab a few to enjoy with a cup of coffee later on. If you’re in Paris around the holidays, we beg you to purchase a Bûche de Noël, a traditional French Christmas dessert — you won’t regret it. Fauchon is a luxury deli that has been in the same spot in Paris for 132 years. The store has been recently renovated into a modern, lavish boutique that is very conducive to hours of browsing. There, you can purchase fancy cheese, pâté, wine, etc. — all of exceptional quality, but the real reason anyone comes here is the sweet treats department. There are macarons, pastries to share, individual pastries, tiered cakes and breakfast pastries, all of which are beautiful and delicious. We recommend you try out some individual pastries, especially the iconic “Bisou-Bisou,” a fruity, lip-shaped creation that will make you weak in the knees. If fruit pastries and cakes are not decadent enough for your tastes, head over to Karamel and you’re sure to find a dessert that will satisfy you. Nicolas Haelewyn, the owner and pastry chef at Karamel, and his team make treats around one delicious element: caramel. 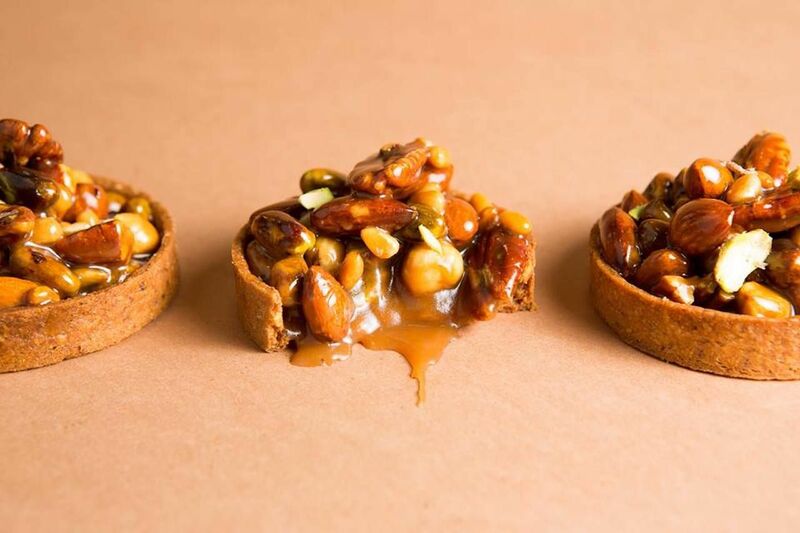 Besides making tasty caramel candies and chocolates, Karamel offers two delicious pastries: the nut and caramel tart (see photo above) and the lemon and hazelnut pie. The baked goods, like the caramel flan and the peanut cookie, are not to be ignored either — they work very well with a strong cup of joe. Everything is very affordable, so buy a few and try them out.